Don’t forget: VERNISSAGE ON SUNDAY 11TH JULY – 16.00 HRS. 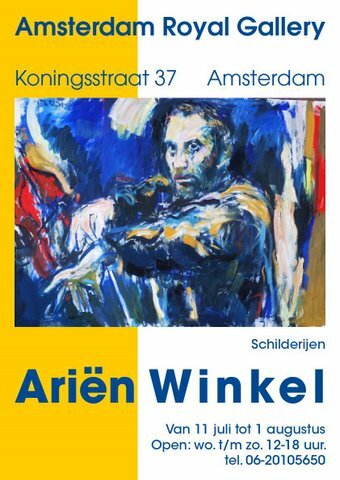 Arien Winkel (Haarlem 1944) lives and works in Enkhuizen – Noord Holland, where he was director of the Stedelijk Museum from 1974 till 1995. A passionate artist eversince the age of 7, his favourite subjects are women and music. With his vibrant brushstroke he seems to be conducting his own orchestra. His hands never stop moving. We proudly present a selection of his latest creations in our exhibition of July 2010.